Foreign Minister on Tuesday rebuked Europe for ‘once again ignoring calls to destroy the state of Israel’; Livni: Israel’s policies must change. 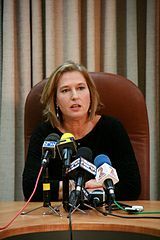 Opposition leader and Hatnuah Chairwoman Tzipi Livni on Wednesday blasted Foreign Minister Avigdor Lieberman for comparing the European Union’s policy toward Israel on the Palestinian issue to the behavior of European countries toward the Jews during the period of the Holocaust. The fact that the international community criticizes the policies of the current government does not mean that the world does not accept Israel as a state, Livni added. “Renewing negotiations with the Palestinians won’t just maintain Israel’s value as a Jewish and democratic state, but will also stop the erosion, and will give Israel back the legitimacy for military action when necessary, and for preserving its security interests,” added Livni. In an interview to Israel Radio on Tuesday, Lieberman was asked to react to the EU foreign ministers’ decision on Monday to condemn Israel for advancing the plan to build in E-1. Interviewer Aryeh Golan also mentioned the report in Newsweek magazine to the effect that United States President Barack Obama intends to let Europe apply pressure to Israel on the issue of the peace process with the Palestinians. “Are you satisfied with this?” Golan asked Lieberman. In his remarks Lieberman related to the speeches by Hamas political bureau head Khaled Meshal this weekend in Gaza, during the course of which he called for annihilating Israel. Contrary to Lieberman’s statement, along with the condemnation of Israel the European foreign ministers did in fact condemn Meshal’s remarks. “The EU finds inflammatory statements by Hamas leaders that deny Israel’s right to exist unacceptable,” they declared. Tags: israel and palestine conflict, jerusalem post, state of israel. 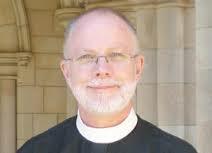 Filed under Israel and Palestine, israel and palestine articles, israel and palestine conflict by Father Dave on Dec 13th, 2012. Comment.